LORD STOW'S BAKERY Egg Tarts: From Macau to Philippines! Surprise, surprise! 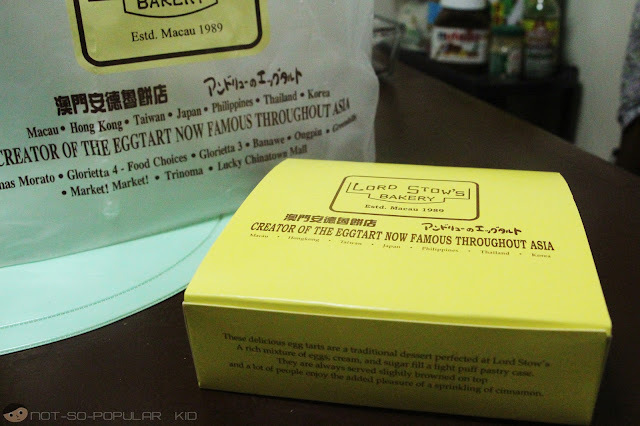 When I got home, what stumbled upon me was this little box inside a plastic that has "Lord Stow's Bakery" on it. 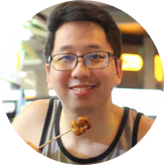 Even if I wasn't sure if it was meant for us or for someone else, I immediately got curious and checked it out. 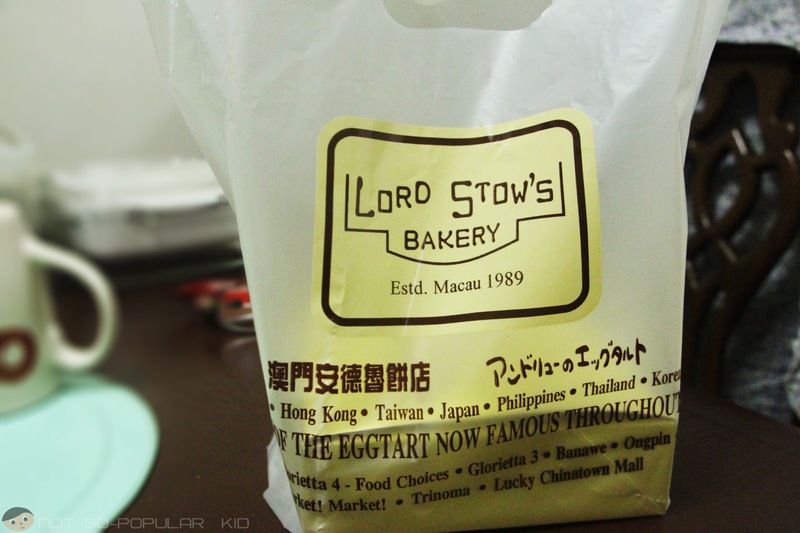 These delicious egg tarts are a traditional dessert perfected at Lord Stow's. It features a rich mixture of eggs, cream and sugar that fills up a light puff pastry case. They are always served slightly browned on top, and a lot of people enjoy the added pleasure of a sprinkling of cinnamon. Oooh! After getting sight of the tagline and those words, I eagerly opened the package right away! 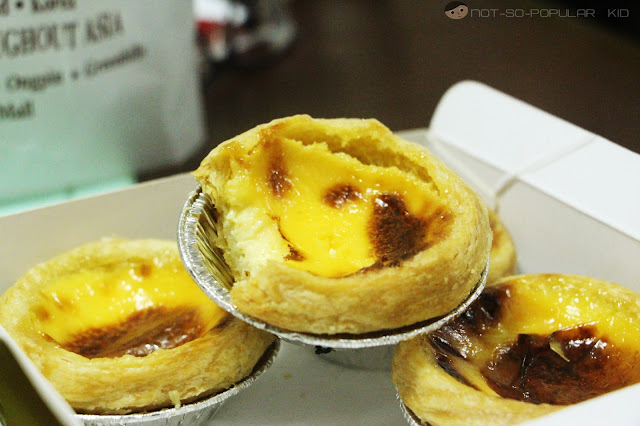 I didn't want to be rude, so I hurriedly approached my mom to ask if the egg tarts were for us. Luckily, she confirmed my assumption. Grabbing the golden opportunity, I didn't hesitate to get one and help myself with this tantalizing snack/dessert. Heavenly Filling housed in a Crunchy Pastry! It was divine! In fact, this was the best egg tart I've tasted so far! The filling was tenderly creamy that melted in my mouth. Plus, the pastry casing was so fresh evidenced by the crispiness and the flavor. Every bite was so enjoyable, it made me pause for a while and savor the moment. I wanted to get another one, but I didn't want to be greedy. 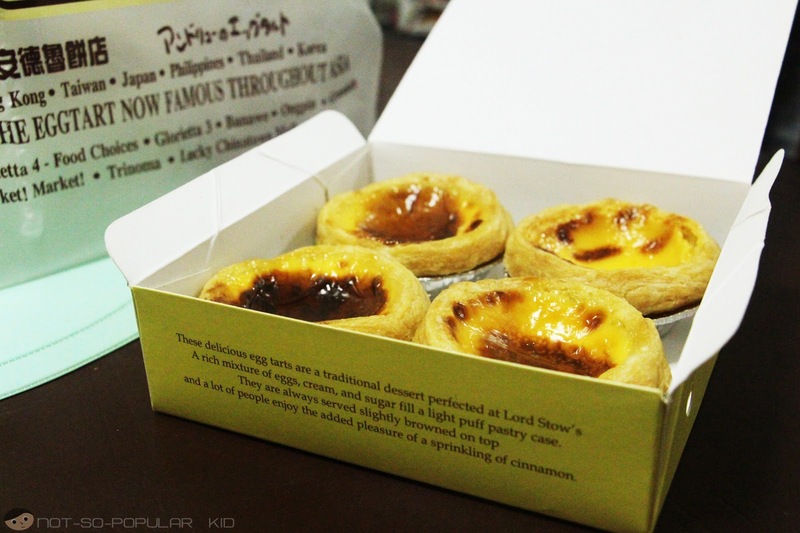 Besides, I wanted my siblings to have the opportunity as well to taste something heavenly creamy! 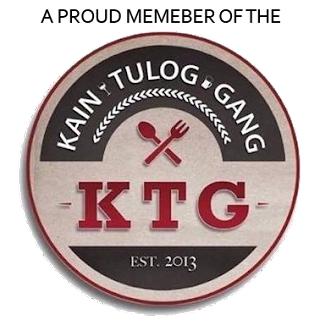 Now, this is something!